Gianpiero Bertoletti I am re-activating this expired deal. 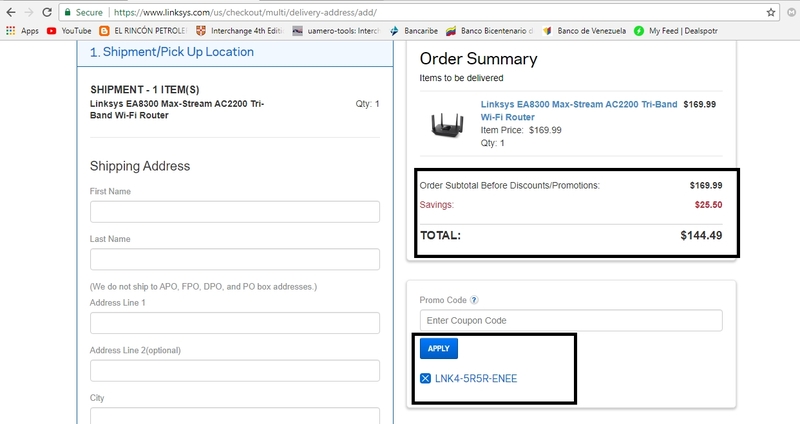 Simply, apply this code during the checkout to get 15% off on any order at Linksys. Zack This coupon works as described. 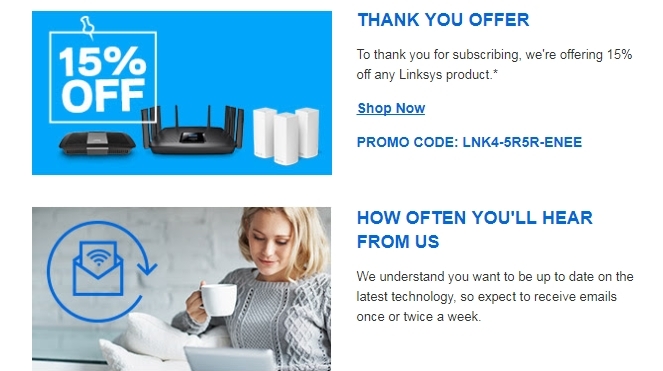 Select yours products enter code LNK4-5R5R-ENEE and 15% Off Your First Order at Linksys (Single-Use Code). This is a limited time offer.